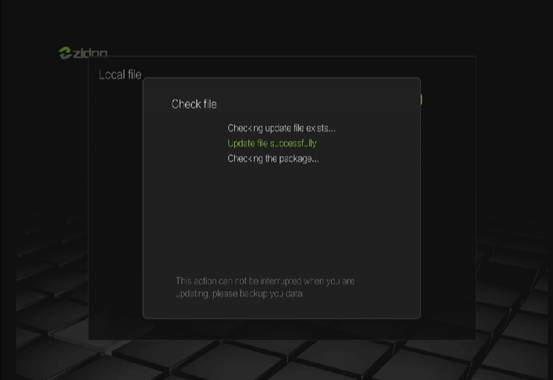 First, you need to be ready the ZIP of local OTA upgrade on the U disk; then, connected to it with your BOX, findout the APK you want to upgrade from desktop: Settings>>About>>Update. You will find the following upgrade interface. 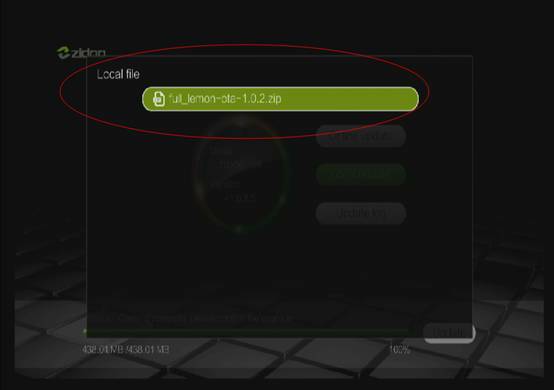 You can findout your U disk through selecting the Local update, and findout the ZIP of OTA upgrade of you selected. After finishing the copy, you will allow to Update through the lower right corner. 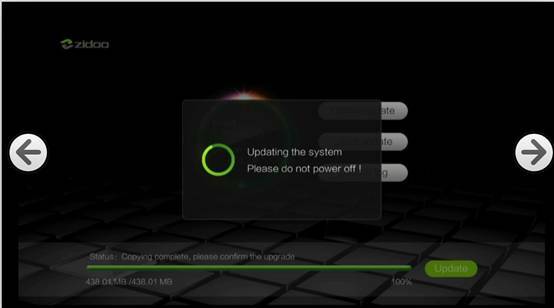 Please note again: DO NOT turn off your power during the process of upgrade, or you have to recover by flashing. 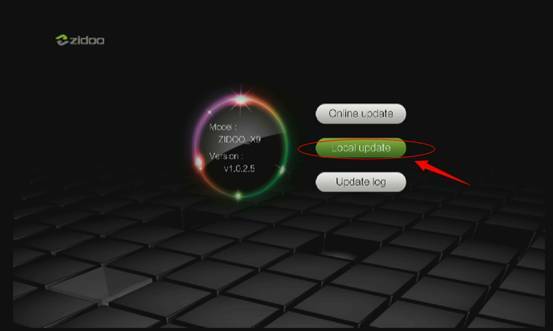 Sure, you can also upgrade through online if there is the latest version onine. 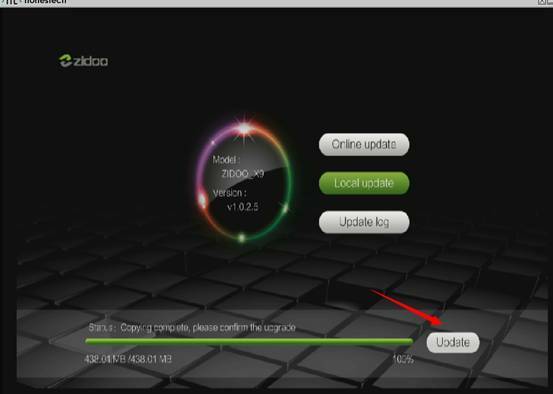 If you don’t want to upgarde now, you can upgrade later through Settings >> About >> Update >> OnlineUpdate. 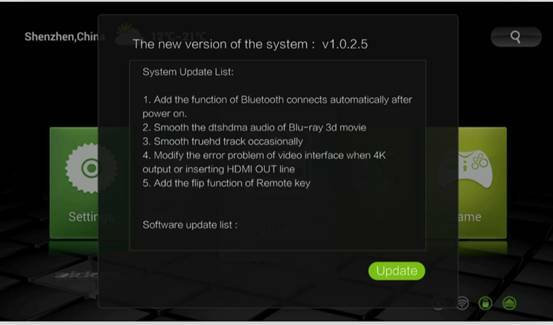 The following is a complete system after finish flashing, entering to check,Settings>>About>>Update>>OnlineUpdate. Congratulatons! It shows the latest version. That’s all. You might have a try. I attempted up upgraded my ZIDOO X9 to the latest firmware and now I get a complete white screen! I attempt to use the reset button on back and nothing happens! The unit was working great and the upgrade went BAD! Now what do I do to get the box like it was before the upgrade!? This is NOT a “totally bad box”! 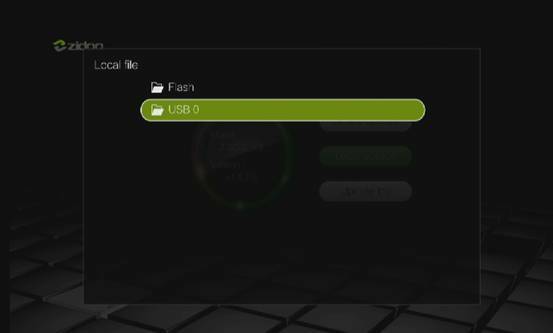 I have been using the Zidoo for months and it is my favorite media player (and I’ve had a few). Yes, it has some problems, but (for the most part) it does what it is supposed to do and does it well.